Illustrate your ideas during your brainstorming! Whether from your computer or your mobile phone, from another website or via Unsplash free photos and images, you can add photos and images to your ideas&apos; cards within your Board activity. Perfect for your mood boards! You&apos;ll find the "pointer" functionality in the settings of the projected screen. Click the pointer to activate it and you&apos;ll indicate with more precision your next action on the presentation screen. This will help to enhance your intervention and to optimize your facilitation. Here is a new one: "Continue" enable to restart the same activity without losing participation data. And your participants will be able to edit their answers. 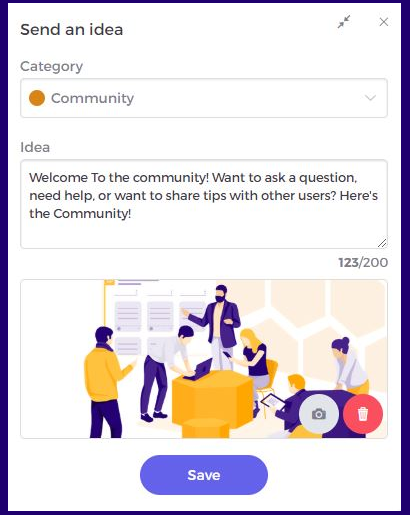 Another improvement in the Board activity and the polling: you can reset your activity and choose to keep either ideas and vote results or only ideas (perfect to add new ideas on the Board and restart polling). 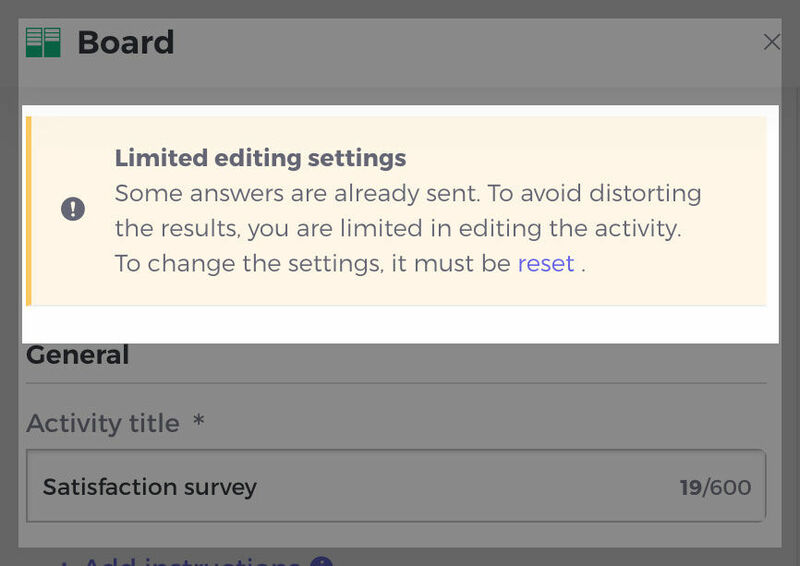 When answers have not been sent: you can edit the activity. 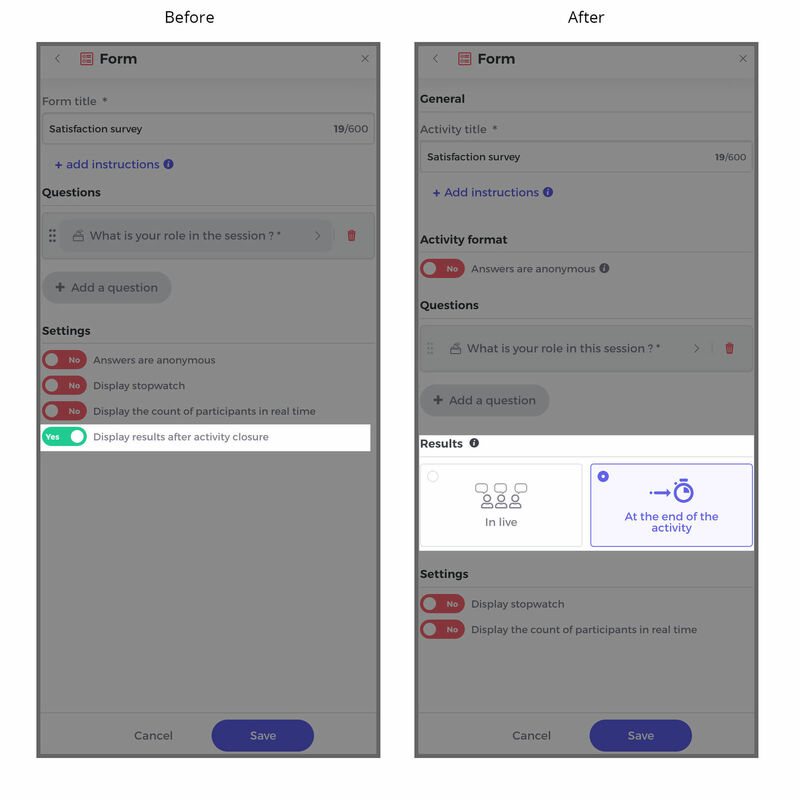 The activities&apos; forms have been redesigned for making their creation easier. 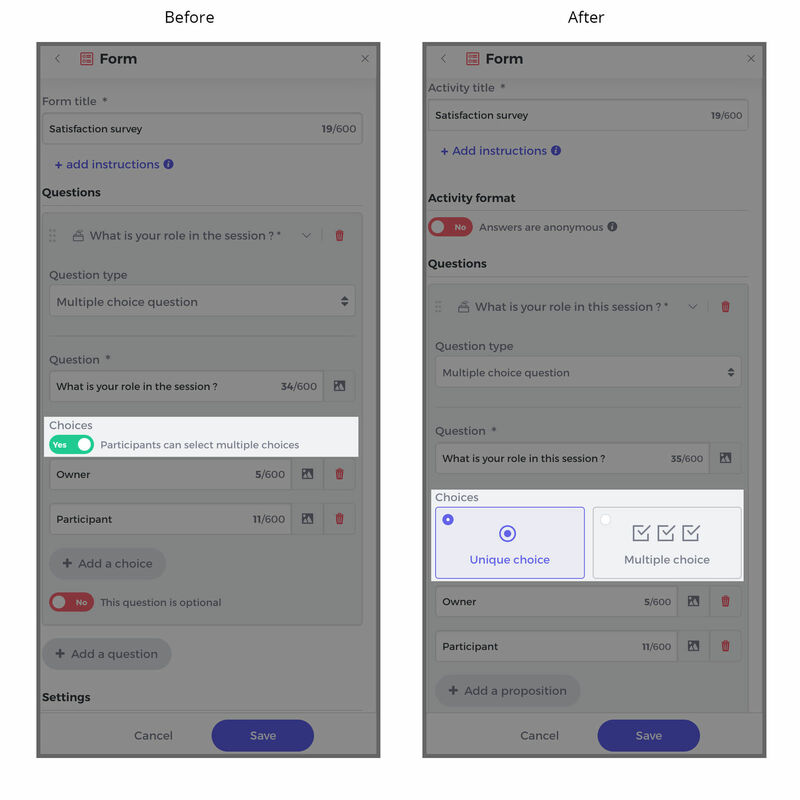 Find brand-new sections and a more visual setting in all activities: activity format, propositions of the answer, corrections, results, and so on.